How people are dealing with dangerous heat. HOUSTON (KTRK) -- In every part of the city you can find people working hard in the heat and doing what they can to cool off. Shannon Aruh was visiting a southwest side Bark Park with her daughter Miya. "I don't know if I'm getting older, or it is actually getting hotter, but it's quite unbearable," Aruh said. It's tough." Her daughter Miya said, "I'm drinking a lot of water and getting in the pool a lot." The furry ones in the family like Dooby are also struggling to stay cool. "All activity will stop, the tongue is hanging out. Easy to tell," said Shannon. "Give him lots of baths and spray him with the water," Miya added. Relentless heat impacting the power grid and people. Dr. Coco Williard with Memorial Hermann Medical Group says early heat illness symptoms can include muscle cramps, nausea, vomiting and dizziness. Those who aren't exposed to heat as much, then suddenly spend some time in it can be more vulnerable. 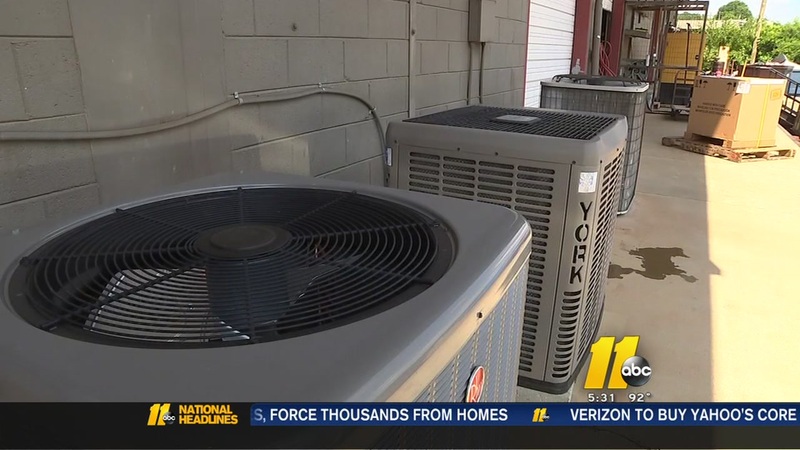 If you're finding yourself with a sluggish or broken HVAC during this oppressive heat wave, experts suggest doing your research before calling a professional to replace it. "So someone who is recovering from a GI illness and is a little bit overweight is at a much greater risk for heat illness than someone who is in tip-top shape, has been pre-hydrated and has been doing this every single day," Williard said. Even the snow cone vendor at Hermann Park says there aren't as many customers in the heat of the day. Sophia Perez was running through the Hermann Park fountains with her cousins. She said, "It's very hot." When asked how she was staying cool she said she was taking a dip in the water. In the water or on the water seems to be the place to be, unless you have to work in the heat. The Aruh family is finding an alternative place to be for now. "We're going to catch an afternoon movie, we'll cool off in the freezing movie theater," said Shannon Aruh.